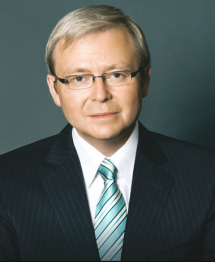 The Honorable Kevin M. RUDD served as the 26th Prime Minister (2007-2010, 2013) and as Foreign Minister (2010-2012) of Australia. He led Australia’s response during the Global Financial Crisis, reviewed by the IMF as the most effective stimulus strategy of all major economies. Australia was the only major developed economy not to go into recession. Mr. Rudd was a co-founder of the G20, established to drive the global response to the crisis, and which through its actions in 2009 prevented the global economy spiraling into depression. As Prime Minister and Foreign Minister, Mr. Rudd was active in regional and global foreign policy leadership. He was a driving force in expanding the East Asia Summit to include both the US and Russia in 2010, having in 2008 launched an initiative for the long-term transformation of the EAS into a wider Asia Pacific Community. On climate change, Mr. Rudd ratified the Kyoto Protocol in 2007 and legislated in 2008 for a 20% mandatory renewable energy target for Australia. He represented Australia at the 2009 Copenhagen Climate Change Summit which produced the Copenhagen Accord, for the first time committing states to not allow temperature increases beyond two degrees. He was a member of the UN High Level Panel on Global Sustainability and is a co-author of the of the report “Resilient People, Resilient Planet” for the 2012 Rio+20 Conference. Mr. Rudd drove Australia’s successful bid for a non-permanent seat on the UN Security Council for 2012-14. His government also saw the near doubling of Australia’s foreign aid budget to approximately $5 billion, making Australia then one of the top ten aid donors in the world. He also appointed Australia’s first ever Ambassador for Women and Girls to support the critical role of women in development and reduce physical and sexual violence against women. Domestically, Mr. Rudd delivered a formal apology to indigenous Australians. In education, his government introduced Australia’s first nation-wide school curriculum, undertook a record capital investment program in Australian schools with the building of thousands of new state-of-art libraries, as well as introducing the first mandatory national assessment system for literacy and numeracy standards. In health, Mr. Rudd in 2010 negotiated the National Health and Hospitals Reform Agreement, the biggest reform of and investment in the health system since the introduction of medicare 30 years before. His government established a national network of leading-edge cancer-care centers across Australia, before introducing the world’s first ever plain-packaging regime for all tobacco products. To improve the rate of organ and tissue donation, he established the National Organ and Tissue Transplant Authority. In 2010, he introduced Australia’s first paid parental leave scheme and implemented the biggest increase in, and reform of, the age pension in a century. He also founded the National Broadband Network to deliver high-speed broadband for every household, business, school, hospital and GP in the country. 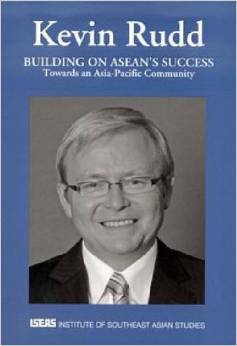 Mr. Rudd is President of the Asia Society Policy Institute in New York. ASPI is a “think-do tank” dedicated to second track diplomacy to assist governments and businesses on policy challenges within Asia, and between Asia, the US, and the West. He has been Co-Chairman of The International Finance Forum (IFF). He is also Chair of the Independent Commission on Multilateralism where in 2015-16 he leads a review of the UN system. Mr. Rudd is a Senior Fellow at the Harvard Kennedy School where in 2014-15 he completed a major policy report on “Alternative Futures for US-China Relations.” He is a Distinguished Fellow at Chatham House in London, a Distinguished Statesman with the Center for Strategic and International Studies in Washington, and a Distinguished Fellow at the Paulson Institute in Chicago. Mr. Rudd is a member of the Comprehensive Test Ban Organization’s Group of Eminent Persons. He is proficient in Mandarin Chinese, serves as a Visiting Professor at Tsinghua University in Beijing, and co-Chairs the China Global Affairs Council of the World Economic Forum. Mr. Rudd in his private capacity has established the National Apology Foundation to continue the work of reconciliation and closing the gap with indigenous Australians, as well as the Asia Pacific Community foundation to promote regional security, economic, and environmental cooperation, and the development of effective regional institutional architecture for the future. To avoid the war that research has found frequently occurs between an established nation and a rapidly rising power, a common basis must be discovered. A constructive realism for a common purpose must be formulated. Striking out collaboratively against climate change is also helpful. 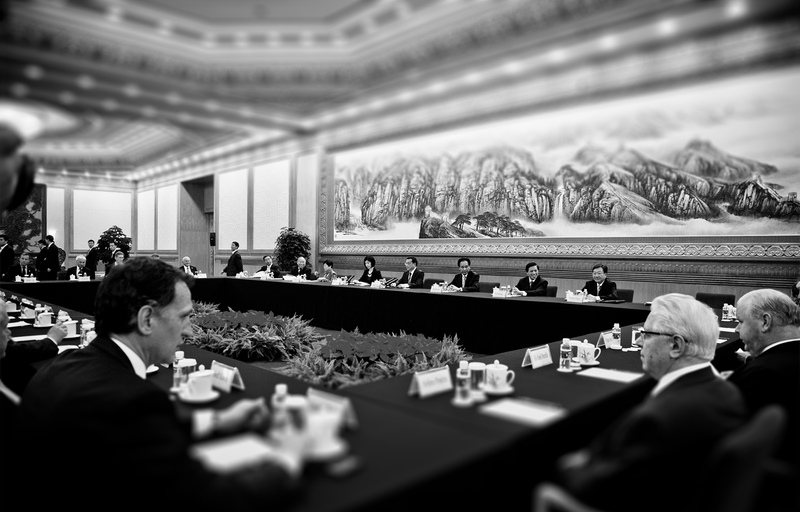 Truly working towards a jointly acceptable set of solutions should be the goal of both China and the US. Furthermore, taking a leap of faith to try to attain a dream for all of humankind, not just the Chinese Dream or American Dream, is a challenge for all of us. Click here to access the article featuring Rudd: “’No country can solve today’s challenges alone”. Click here to access the podcast with Rudd: “The Conversation Hour with Jon Faine”. Click here to access the article by Rudd: “Economic integration won’t shield Asia from war, but a truly pan-Asian security grouping might”. Kevin Rudd: Aung San Suu Kyi Faces An Almost Impossible Dilemma. Don’t Give Up On Her. Click here to access the article by Rudd: “Chances of second Korean War between 20 and 25 percent”.